Dog diarrhoea or vomiting is a clear sign that your dog isn’t feeling well. But their upset tummy can be just as upsetting for you, particularly if you don’t know what’s causing it. The good news is that, if it’s something in their diet, there are steps you can take to get them feeling better. Some dogs can have an intolerance to certain foods. They might be lactose intolerant, which means they can’t digest the sugar found in cow’s milk. Or they might be affected by the gluten in wheat. Or they might have an allergy to a certain ingredient. Vets tell us that other foods that commonly cause upsets are beef, pork, soya and eggs. Another common cause of diarrhoea is poorly digested starch. Starch is a fantastic energy source for dogs but they can’t digest it fully unless it has been properly cooked. A fibre imbalance can also cause diarrhoea (and lots of wind). Dogs need both soluble and insoluble fibres but they have to be balanced properly. 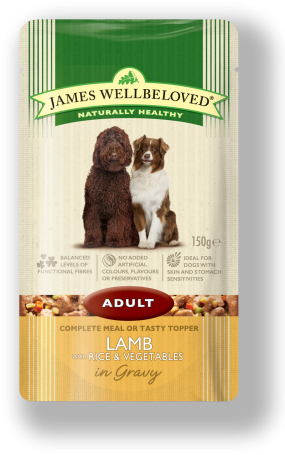 Firstly, our recipes are naturally hypoallergenic. We exclude all the problem materials mentioned above from our recipes and we have only one animal protein in each of our foods. 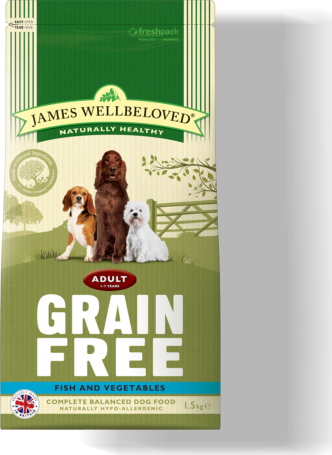 For dogs who are sensitive to cereals like barley, oats or rice, we also have grain free recipes. Secondly, we measure starch-cook all the way through cooking to make sure it is really digestible for your dog. And, thirdly, we choose our ingredients carefully to give us the correct balance of fibres to produce regularity, firm stools and a healthy gut. These are really simple and obvious answers to the problem of upset tummies but we know that they are extraordinarily effective and we have lots of letters from grateful owners to testify to the success of our natural approach. 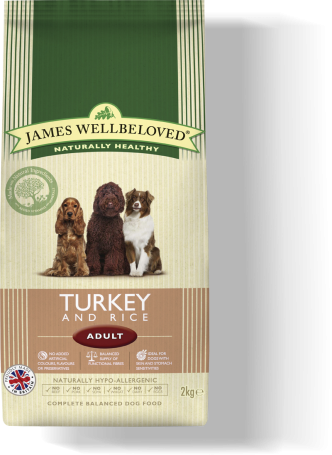 If your dog is suffering from upset tummy, gradually introduce them to James Wellbeloved foods and you should expect to see an improvement in a matter of weeks. If you don’t, the problem may be more serious so you should see your vet.